Earlier this summer, the 4th Circuit joined an increasing list of federal appeals courts to confirm that debtors need not include Social Security income in their Chapter 13 plan filings. In In re Mort Ranta, the 4th Circuit agreed with the 9th Circuit and others in highlighting that the 2005 bankruptcy reforms passed by Congress specifically excluded Social Security payments from a debtor’s income calculations, and failure to include this income in a debtor’s disposable income was entirely permissible and not an impediment to approval of a debtor’s plan. The most recent case involved Robert D. Mort Ranta, who filed a voluntary Chapter 13 petition in Virginia. The bankruptcy trustee rejected his plan, contending that he had overstated his expenses. The debtor argued that, despite some overstatement, his plan still complied with the law. The debtor’s Social Security income was excludable and, without that income, his projected disposable income was still negative, meaning that the law did not require him to pay his unsecured creditors. The bankruptcy court agreed with the trustee and declared the debtor’s plan not feasible, requiring him to adjust his plan or face dismissal. On appeal, the debtor reiterated his argument that his Social Security income should be disregarded. The 4th Circuit Court of Appeals agreed with the debtor. The court pointed out that the changes to code created by 2005’s Bankruptcy Abuse Prevention and Consumer Protection Act (BAPCPA) altered the definition of disposable income. Under the new definition, disposable income equals a debtor’s “current monthly income” minus amounts for his “maintenance and support,” the court wrote. The court also noted that the code expressly excludes benefits received under the Social Security Act from current monthly income, meaning that the debtor’s Social Security income should not factor into the calculation of his disposable income. 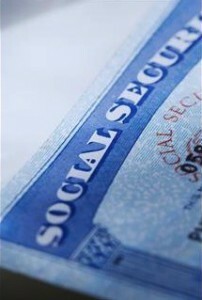 If Social Security benefits did not factor into disposable income, then projected disposable income should not take them into account either, because “‘projected disposable income’ should be calculated based on ‘disposable income,'” the court determined, citing the U.S. Supreme Court’s 2010 decision in Hamilton v. Lanning. The court also noted that the 5th, 9th and 10th Circuits had reached similar conclusions. Earlier this year, the 9th Circuit handed down its ruling in In re Welsh. In that case, a Montana couple submitted a plan that proposed to pay only $14,700 of their $180,000 of unsecured debt, and did not factor their Social Security benefits into their income. The 9th Circuit affirmed the lower court’s approval of the plan, explaining that, as a result of the reforms codified by the BAPCPA, the code now clearly and specifically excludes Social Security income from consideration of a debtor’s income, and failure to include it does not demonstrate a lack of good faith. Filing bankruptcy requires detailed knowledge of the rules what amounts you must disclose, and which ones you may decline to mention. To ensure you get the best Chapter 13 repayment plan possible, it is important to work with counsel who understands all of these intricacies. To get clear and helpful advice about how to approach your bankruptcy, contact the Bay Area bankruptcy attorneys at the Law Offices of Melanie Tavare. Oakland bankruptcy attorney Melanie Tavare has the skills and the up-to-date knowledge of the law to help guide you through your Chapter 13 bankruptcy. Call (510) 255-4646 for your free consultation today.